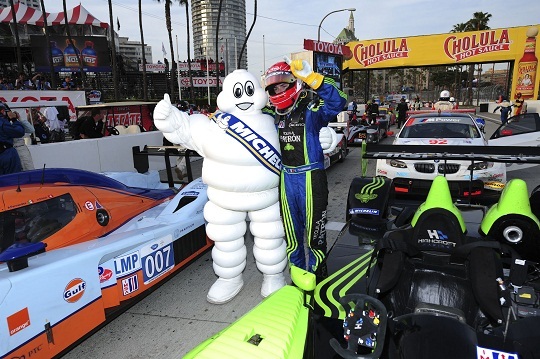 Michelin and Acura have enjoyed a winning history on the streets of Long Beach, where the unique nature of a city street circuit has allowed Michelin the opportunity to innovate and develop several new tires to tackle the historic 1.968-mile street course. The Acura Grand Prix of Long Beach event weekend provides both a chance to build on their innovative history. For Michelin, next week marks its first street race for prototypes since 2013, and the first street race in its new role as Official Tire of IMSA. For Acura, it’s its first race as title sponsor of the Long Beach event weekend. Here is a quick stroll back down memory lane. During a five-year period from 2009 through 2013, Acura and its sister Honda Performance Development (HPD) brand worked together with Michelin to produce some fascinating new tire innovations that helped fuel success on the streets. Acura’s new-for-2009 LMP1-spec ARX-02a was a prototype somewhat ahead of its time. The car was the first to premiere its same-sized rear tire on all four corners. The “square” fitment made a larger front contact patch and would help the car from cornering and braking standpoints. Success came quickly. Scott Dixon of de Ferran Motorsports stunned the Audi and Peugeot factory teams by scoring a debut pole for the Acura at the Mobil 1 Twelve Hours of Sebring. Then Highcroft Racing won the new car’s first race early in April on the streets of St. Petersburg. When the ARX-02a came to Long Beach for the first time, de Ferran’s full season pairing of Gil de Ferran and Simon Pagenaud scored their first overall win. 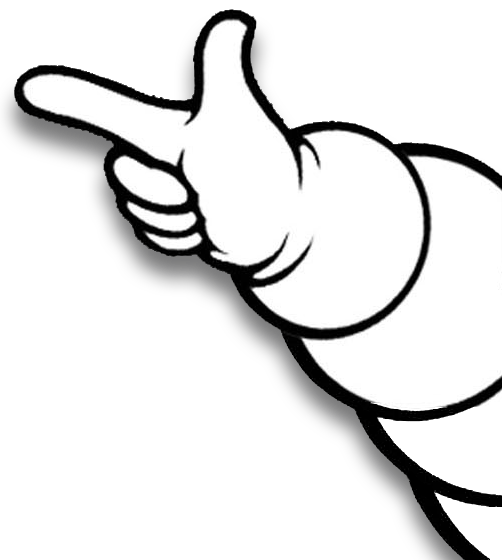 By 2012, both Michelin and HPD made further development steps. 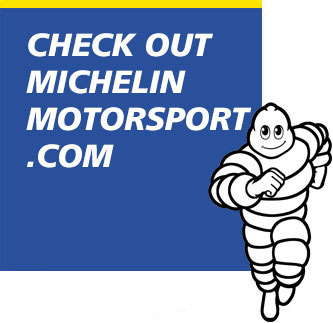 A new taller MICHELIN® front tire premiered, that was 1.2 inches taller than what its technical partners in the GT class had. At the same time, while Acura had since withdrawn that brand, HPD’s effort forged ahead. HPD premiered a brand new LMP1-spec car called the ARX-03a, and then took its first overall win with Klaus Graf and Lucas Luhr driving for Muscle Milk Pickett Racing. Graf and Luhr repeated their overall win in 2013. The pairing ran qualifying and the whole two-hour race on a single set of Michelin’s “street soft” tires , a street course specific construction tire developed over several years. Acura and HPD regularly won at Long Beach with its previous generation prototypes. 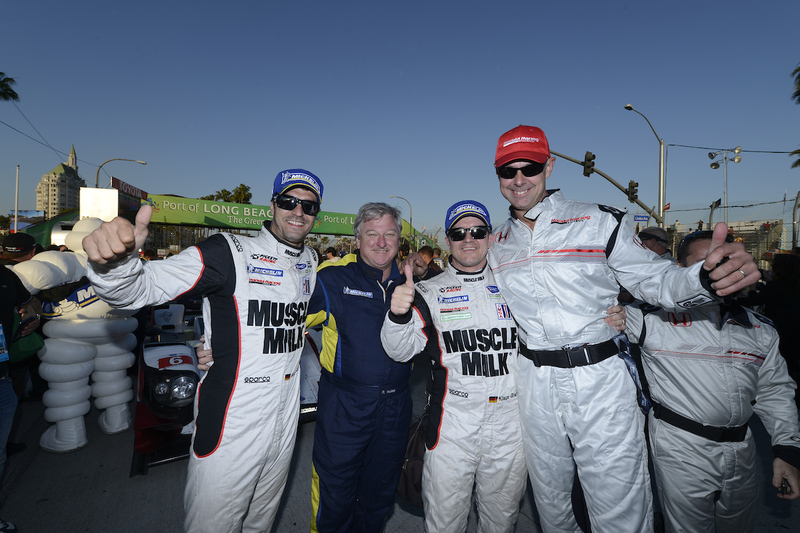 Combined, Acura/HPD and Michelin have eight wins together at Long Beach. Muscle Milk Pickett (2012 and 2013), Highcroft (2010) and de Ferran (2009) all scored overall wins with Michelin. The Highcroft win in 2010 featured one of the American Le Mans Series’ most memorable finishes, as Pagenaud passed Adrian Fernandez’s Lola Aston Martin on the last lap. Acura and HPD have added five additional class wins at Long Beach. Highcroft (2008), Fernandez (2009) and Level 5 (2011, 2012, 2013) all won in the LMP2 class. Four of these five wins came racing with Michelin. As Acura and Team Penske forged a partnership in 2018, it’s worth noting Penske has had its own sports car success at Long Beach with Michelin, while racing against Acura. In 2007, Timo Bernhard and Romain Dumas won overall with their Penske Porsche RS Spyder LMP2 car, racing against a very deep field of prototype competitors from the Audi, Acura and Mazda brands, and historic teams such as Joest, Andretti, Dyson and Fernandez Racing. Just like in the old days, this year’s Long Beach will see Michelin, Acura and Team Penske exploring and learning some new elements. 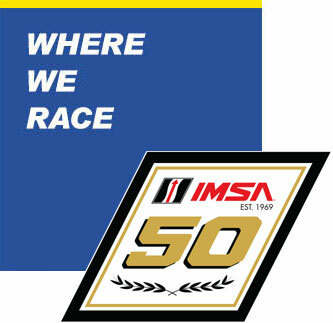 The BUBBA burger Sports Car Grand Prix (IMSA’s event name) marks the street course debut of Michelin’s IMSA Medium compound tire, developed new this year. This is an IMSA specific solution for the Daytona Prototype international (DPi) class, and already has set new qualifying and race lap records at both the Rolex 24 At Daytona and Mobil 1 Twelve Hours of Sebring. To help teams optimize their tire performance, Michelin places its engineers and motorsport tire specialists with each of the 11 teams racing at Long Beach. 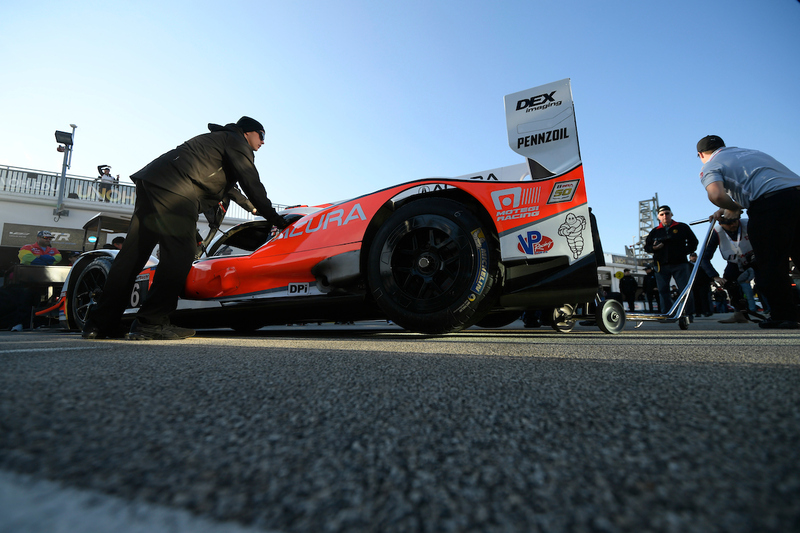 So the Acura Team Penske group will work hand-in-hand with its Michelin technical crewmember to ensure the optimal performance throughout a changing track conditions during the weekend. For Acura Team Penske, it returns to the track where it scored its first pole last year. Juan Pablo Montoya set a qualifying lap record at 1:12.922. Penske’s first win with Acura’s newest top-level prototype, the ARX-05, came at the Mid-Ohio Sports Car Course last year in the appropriately named ACURA Sports Car Challenge. Montoya and Dane Cameron (No. 6) and Helio Castroneves and Ricky Taylor (No. 7) continue in the two Penske Acuras this season. 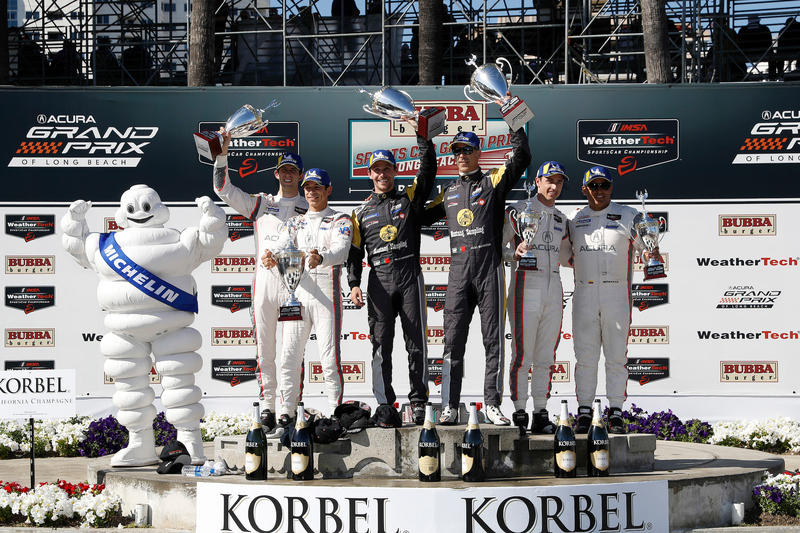 Now working in combination for the first time, Michelin, Acura, and Penske will try to add another chapter to their respective Long Beach record books.